Allergens May contain traces of nuts. The first chocolate featuring cask-aged cocoa beans. 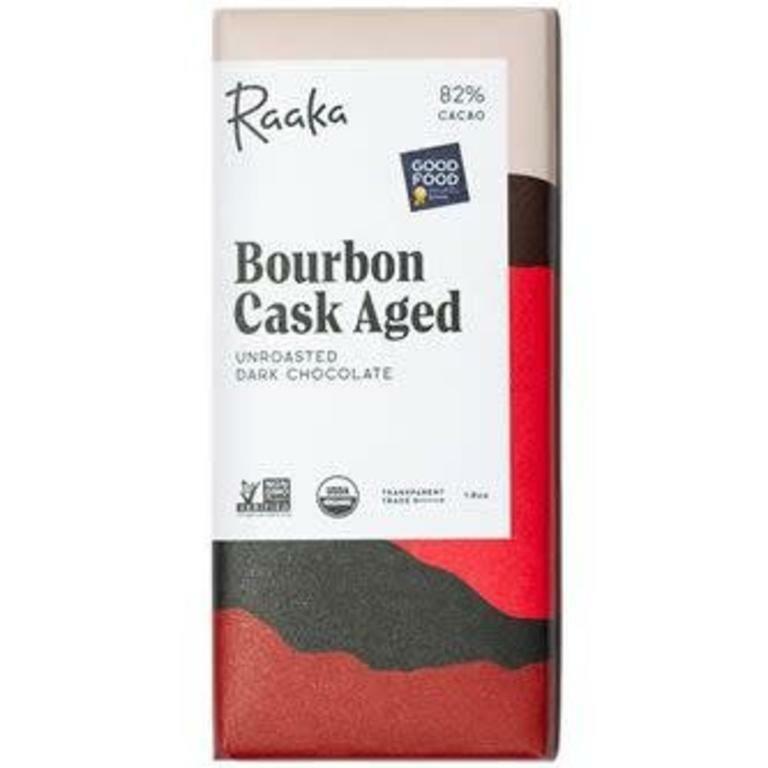 To make this bar, Raaka crack Tanzanian cacao beans into cacao nibs, then age the nibs in empty Berkshire Mountain Distilling bourbon barrels for four weeks. During the aging process, the nibs soak up the essence of bourbon stored in the oak. After four weeks, the nibs are ground, mixed with a house blend of cane and maple sugar, and made into a deliciously deep dark chocolate.